THE HEROIC AGE IS HERE! 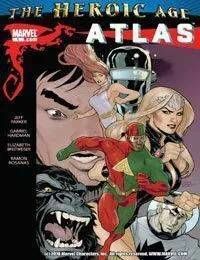 Someone has come to ATLAS looking for answers to some very strange questions, and on his trail is a danger of a new level. Marvels Rat Pack are back to solve - the mystery behind THE 3-D MAN!